I have definitely started thinking about what I'm buying everyone for Christmas now. While the fella's in my life might be harder to buy for, I'll struggle a lot less buying for the amazing girls in my life. Chocolate and flowers are essentially my two go-to's for this. 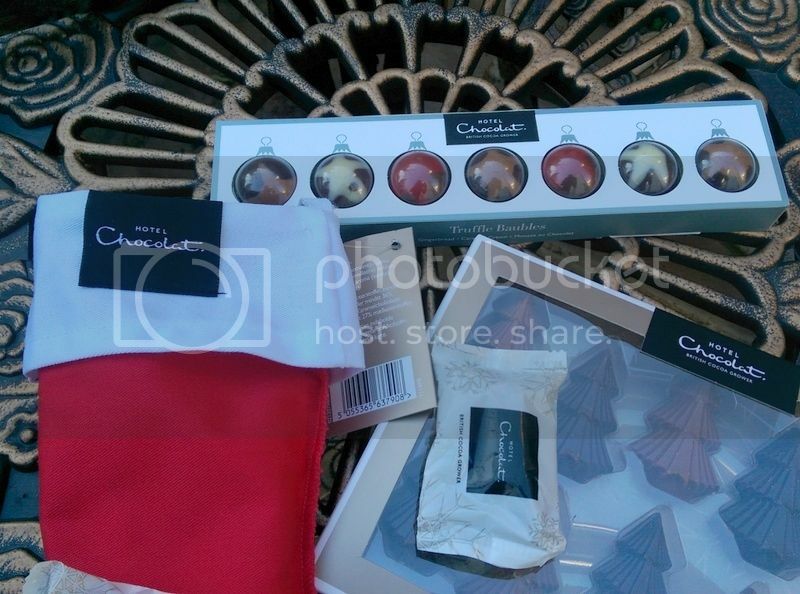 Hotel Chocolat is one of my favourite chocolate places right now. There's one that's opened right near my work place and I love going in there and getting treats for myself. 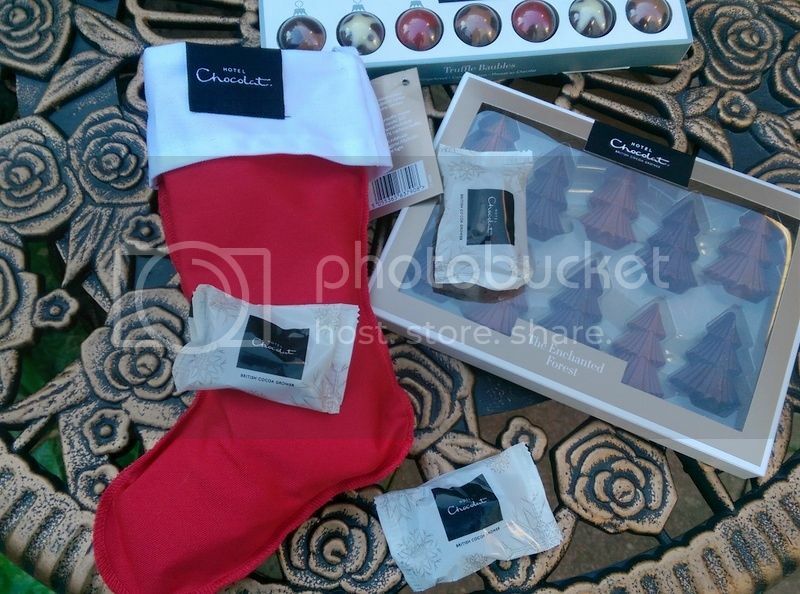 Their upcoming festive treats are the best and I've enjoyed munching on them recently. 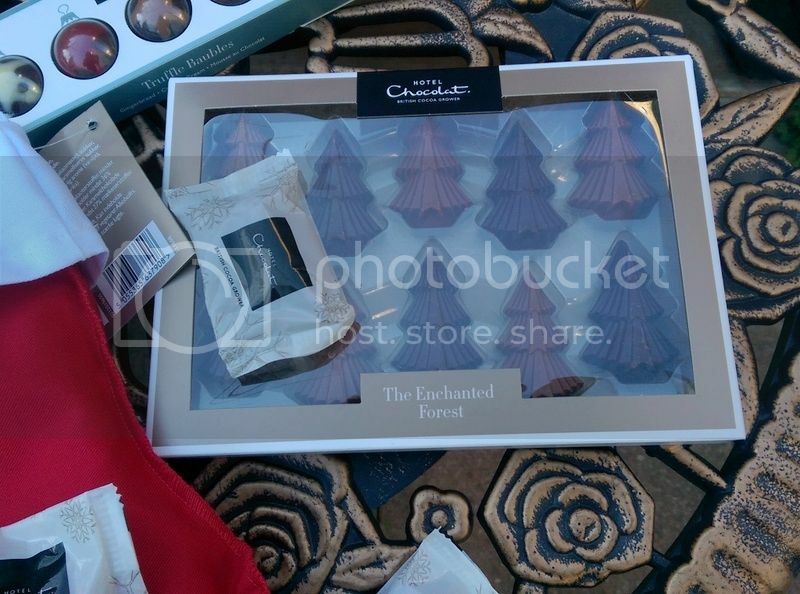 I've been eating chocolates from The Elf's Stocking, Christmas Baubles and Enchanted Forest. They are all so delicious - I couldn't pick a favourite! They'd make a great gift though. The packaging on each of them is so cute and the chocolates themselves will make an ideal gift for pretty much anyone - one bite of any of these and you'll be named present-giver of the year by the recipient. And of course, no delivery of chocolates is incomplete without flowers. I discovered the Debenhams Flowers section a while ago and I've not looked back. They have such a beautiful range of flowers, and their new Christmas range lives up to all expectations. 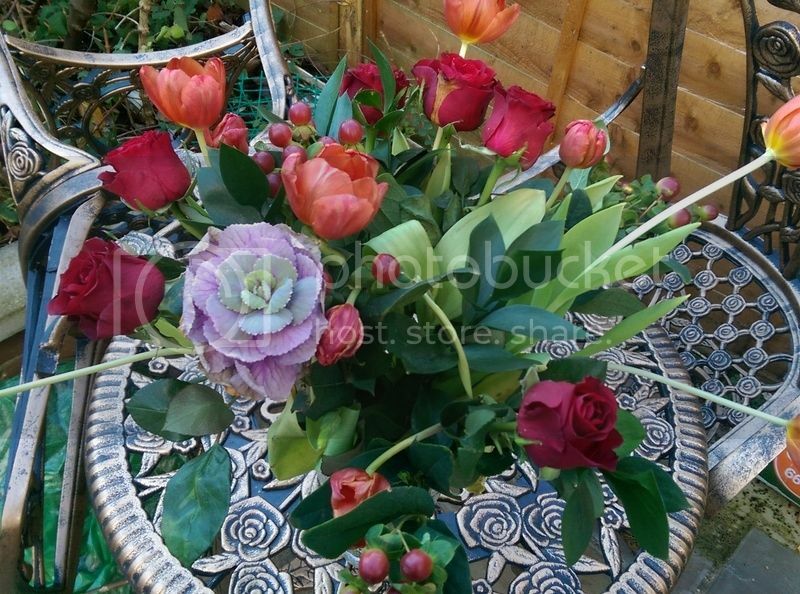 I picked the Festive Rose and Berry bouquet and my mum loved it. It's not being housed in her garden as she tends to it everyday. Mum lovers all kinds of flowers. 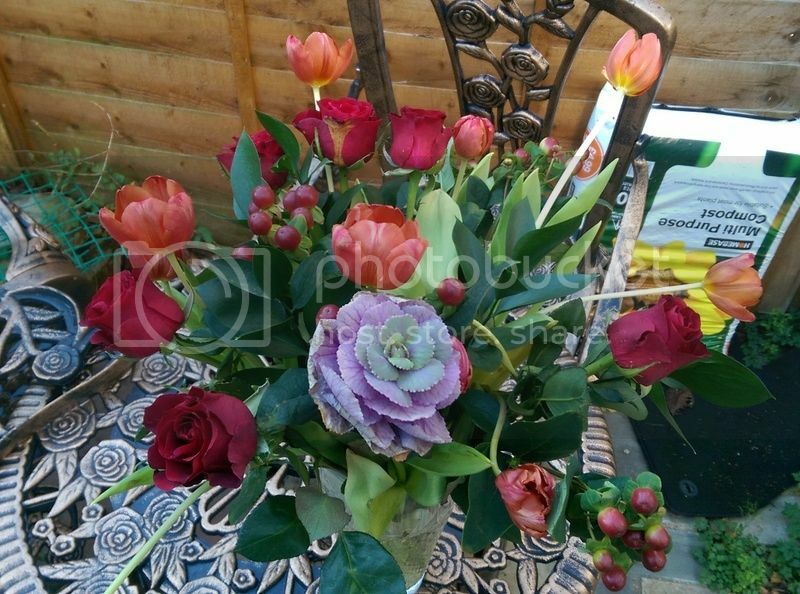 so I expect that I'll be buying her a few more bouquets in the run up to Christmas - just to make her happy. I really love all the colours in this one, and the addition of berries gives it a much more special vibe. I think something like this will look perfect around the house over the festive period. Debenhams is also offering a 25% discount using the discount code: DFBLOG25 - you can use it to buy any flowers (except those from the Flowers By Post range) to treat yourself or earn some extra points with a loved one this Christmas. This is so beautiful and adorable, love these ideas. The Truffle Baubles are the cutest! Those chocolates are the cutest! So sweet that I (almost) wouldn't want to eat them, but who am I kidding, I know I would ;) I finished a lot of my holiday shopping this weekend... Or at least that's what I'm telling myself. In reality I still have a lot to do. 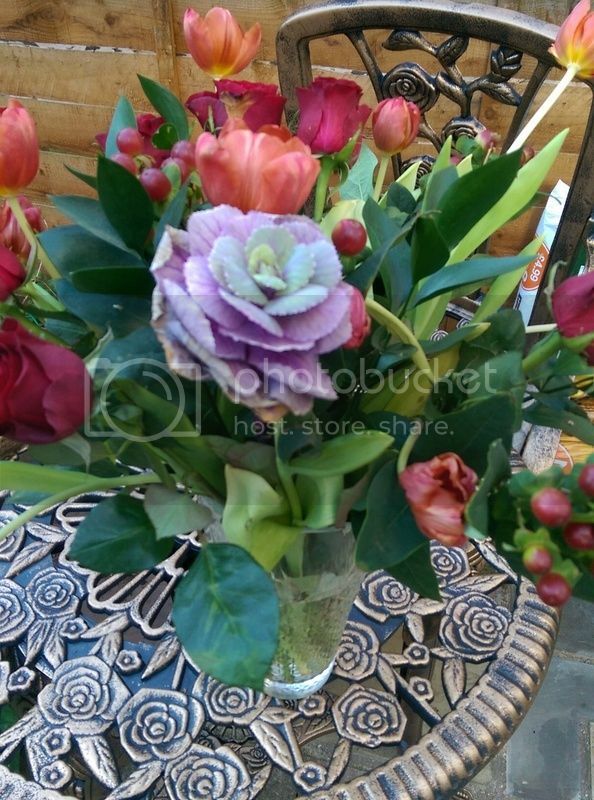 Flowers are such a lovely Christmas gift idea! Mmm can't go wrong with chocolate!